Because it’s closed to neighborhood use. The synthetic turf playing field at the renovated Casey Middle School is a lot of things: centrally located, environmentally friendly, guilt-free green— and off-limits. A grey Master lock and a BVSD sign declare use of the field restricted to properly authorized individuals who have reserved it ahead of time. The field where generations of Boulder kids learned to throw a ball or turn a cartwheel is now closed to casual use. Casey officials have indicated that the field will remain locked up like “all District turf fields,” despite earlier promises to provide public access to the space. This unfortunate decision comes at a price for local youth. 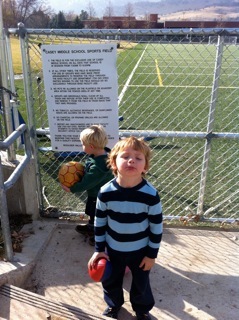 Recently, the police showed up because a few neighborhood boys had scaled the fence to play Frisbee. The message to these teenagers? “Playing outside can get you in trouble.” In an age of epidemic child obesity, isn’t it irresponsible for a public institution, renovated with over $30 million in tax dollars, to take away a communal space that has been used primarily by children for outdoor recreation? The lock-out seems especially unfair given that access to the field and adjacent sledding hill was a major point of discussion during the planning phase of the Casey renovation project. The sledding hill has been a fixture of central Boulder for years, and community members attended design meetings to ensure its availability after project completion. School officials assured the public that access to the field and hill would be preserved. Nothing discourages community use of a field more than a lock and a sign urging residents to report its unauthorized use. Boulderites value an active lifestyle. Our public schools should promote this value by providing more places for kids to play, not less. Unstructured outdoor play is one of the basic joys of childhood. If we want to raise a generation of healthy adults, we need to start today in our own backyards—and playing fields. Attend the next meeting of the School Board at 6:00 p.m. on December 14 to let them know what you think. Meetings held at the Board Room of the Education Center at 6500 East Arapahoe Road, Boulder, CO.
disturbing. I’d attend the Board mtg on the 14th, but I’ve sunk so much of my life into trying to get that BOD to do the right thing, and they so rarely do, that I can’t justify the time anymore. I sense a pattern here. Near our house, BVSD has removed about 2/3 of the playing field/park area to build a new school. (Note in the bond issue the point was to renovate Columbine Elementary, not build a new Columbine Elementary). This new school is at least 2 stories tall and blocks out much of the openness of this park as it is built within a few feet of the street and neighboring houses. I don’t understand how the School District doesn’t have to abide by minimum setbacks like the public does. The old school will be torn down and replaced with a parking lot. Net result- loss of a huge playing field area and substantial reduction in Columbine Park. Gain- one big parking lot and a huge new school. Here, here — and to make matters worse, the lost playing field was home to a vibrant community of Latino sportsmen and women who are least likely to speak up to defend their space. now, everyone who came through and supported the renovation can go take a hike. I wonder if anyone on council will even mention this tonight? drawn up by city staff and the city attorney? Time to once again “muster on the green” …. ironically a strange, surreal, petroleum spawned, synthetic, “green washed” green, ….. an empty, dead, imprisoned heartless void, in the center of our community unless our kids can all play on it again and bring it back to life !